A late fluke goal has given Liverpool a derby win as Arsenal and Chelsea also claimed wins by beating their neighbours in the English Premier League. 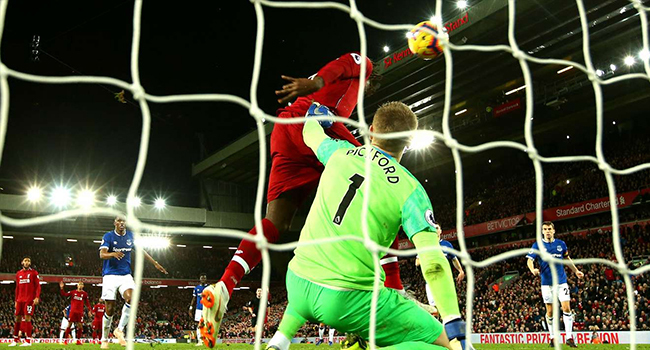 Divock Origi took advantage of an error by Everton keeper Jordan Pickford to head home the only goal in the 96th. Arsenal came back to beat Tottenham Hotspur 4-2 while Chelsea defeated Fulham 2-0. Liverpool’s victory lifts them within two points of leaders Manchester City with Chelsea and Arsenal moving above Tottenham to third and fourth, respectively.